Venture out of the city with trips to The Hague (The Mauritshuis Royal Picture Gallery & Binnenhof & Ridderzaal (Inner Court & Hall of the Knights)) and Haarlem (Beeld Laurens Janszoon Coster, Sint-Bavokerk (Church of St. Bavo), & more). 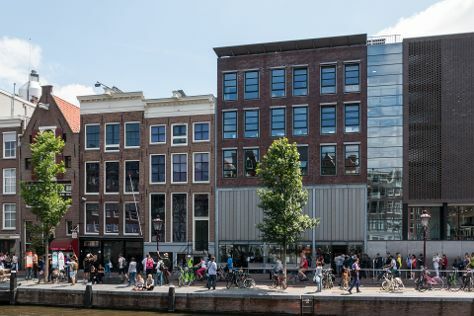 There's lots more to do: see the interesting displays at Anne Frank House, stroll through Vondelpark, have fun and explore at NEMO Science Museum, and wander the streets of Red Light District. To find traveler tips, maps, where to stay, and tourist information, use the Amsterdam trip planner . If you are flying in from Brazil, the closest major airports are Amsterdam Airport Schiphol, Eindhoven Airport and Eelde Airport. In November, daily temperatures in Amsterdam can reach 12°C, while at night they dip to 5°C. Cap off your sightseeing on the 17th (Sun) early enough to travel back home.